There are timeless, classic hymns that are sung in churches all over the world today. They are beloved hymns with beautiful messages of faith, memorable melodies, and rich qualities. I imagine they will outlast many of the modern worship songs we sing today, and rightfully so. However, there are hymns that simply don’t make sense, and perhaps never made sense to the average worshiper. They are songs that are full of puzzling phrases that leave a person questioning rather than worshiping. 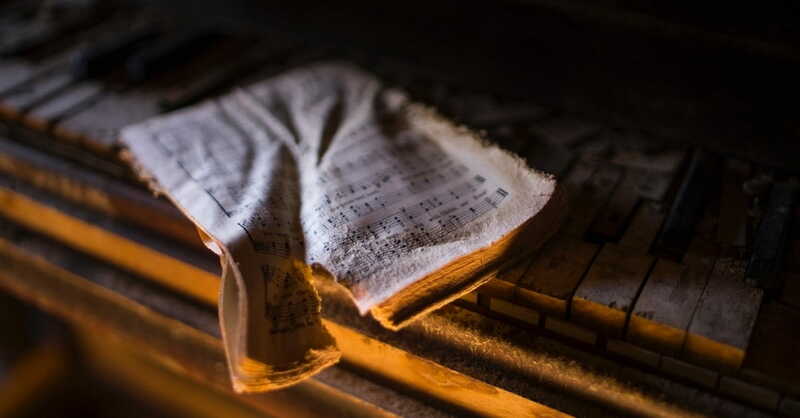 Perhaps, it’s time to put to rest a few of these hymns—not because they are “bad,” but because they simply don’t cultivate a heart of worship. After all, Jesus reminded the woman at the well that the Father desires His followers to worship in Spirit and in truth. Written in 1865, by Rev. Sabine Baring-Gould, this song was never intended to be published as a hymn. In fact, the author wrote it for a children’s festival with the intention that the children of his village would sing it as they marched in procession. However, it wasn’t long after, that Onward Christian Soldiers gained popularity and was included in the English hymnal. Although there is nothing inherently wrong with this hymn, it simply does not usher us into an atmosphere of worship. What are sheaves? And why should we bring them in? When outlining this article, this was the one hymn my husband suggested be included. He grew up singing about sheaves, but never knew what it meant. In fact, when he was really small, he used to sing, “bringing in the sheeps,” because that was what made sense to his young mind! Oh, dear. My mortal flesh is having a difficult time keeping silent regarding this 1864 hymn. With roots that date back to the fourth century, (the fourth century! ), I’m afraid this old hymn should be put to rest sooner rather than later. Not only is this song confusing, it uses difficult words such as homage, vesture, and vanguard in its verses. The everyday worshiper would find this song challenging to sing, and, more of a distraction than a song of worship. Huh? I don’t know about you, but those lines make me grimace as I read them. I think this is one hymn we can safely put to rest. And let the angry powers of Hell assault my soul in every part. My, oh my. I’m not quite sure what the intended meaning is, but to me, it speaks of a wrathful, condemning God who ignores the person requesting His help. Scripturally, it doesn’t make sense that someone seeking the Lord would be assaulted by the angry powers of hell. Yes, the conviction of our sin is very real, but the immediate grace of God that covers the repentant heart is also important to mention. Written by Charles Wesley in 1776, this hymn sounds completely normal by title, but quickly turns into a real tongue-twister. After reading the first stanza, it’s clear that this song doesn’t lend itself to the clear meaning of being God’s ambassadors. His messengers His place supply, and Jesus begs us to be friends. I apologize ahead of time for including this song on the list. I still remember, back in the day, hearing a duet of this hymn, where the singers sang with all the fervor anyone could have. But as I researched the hymn and read the words for myself, I couldn’t help but include it. The term Beulah Land simply isn’t familiar enough to the worshiper to make sense. And though the original theme of the song was a noble one, this hymn ends up being more confusing than inspiring. I remember singing this hymn many times as a teenager at the small country church where I played the piano alongside the worship leader. There is one phrase, in particular, that is sweet to the soul. Oh, glorious victory that overcomes the world. Yes, it is scripturally based, as recorded in 1 John 5:4-5: "For whatever is born of God overcomes the world. And this is the victory that has overcome the world—our faith. Who is he who overcomes the world, but he who believes that Jesus is the Son of God?" Let’s remember Who has overcome the world—Jesus, Himself. And in Him we have put our faith. Written by poet and teacher, Folliott Sandford Pierpoint, this song is definitely poetical in style. While there is nothing wrong with the words, as they are an expression of gratefulness, this hymn is included on the list merely due to preference. To me, the focus is more on the creation rather than the Creator. In my personal opinion, this song should remain as a choir piece, but be put to rest as a congregational hymn. This popular hymn, first written in 1931, was remade by pop musician Cat Stevens in 1971. It has singable phrases and an easy-going melody, but the words are far from worship. In fact, some could say the hymn is more about worshiping the morning and the birds and the singing. With a poetical style and simplistic melody, this song is easily learned and remembered. Unfortunately, it does little to exalt God and usher in a heart of worship. In the end, there will always be beloved hymns favored by every generation, and for that, I am grateful. However, let’s put to rest some of the more puzzling, outdated songs that cause the worshiper to scratch their head in baffled wonder instead of raising hands of praise. Jennifer Waddle is the author of Prayer Worrier: Turning Every Worry into Powerful Prayer. She lives with her family near the foothills of the Rocky Mountains—her favorite place to be.